Carl Pei, the OnePlus CEO, confirmed the fact that his company's upcoming late-year flagship refresh will not feature a headphone jack in an interview with TechRadar. Pei claimed that user feedback had contributed to this decision. Accordingly, OnePlus' next branded headphones will have a USB type C connector. Every OnePlus phone to date has come with a 3.5mm jack for wired headphones. 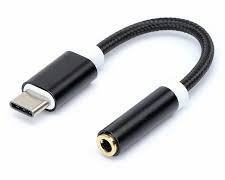 In fact, the company persisted in including this connector even when some bigger players in the smartphone game dropped them in their flagships. However, it appears that this record is at an end. During an interview with TechRadar, the OEM's CEO, Carl Pei, confirmed that the "next OnePlus handset" (most likely referring to the long-anticipated 6T) will omit the headphone jack. Pei cited findings that his company had apparently gleaned from its "community" in explaining his rationale for dropping the 3.5mm jack. He claimed that 59% of this group had switched to wireless headphones "earlier this year". This was prior to the release of the Bullets Wireless headphones, Oneplus' first attempt at a personal Bluetooth audio solution. Pei appeared confident that this 59% figure had grown as a result of their release. We're not doing it for the sake of doing it and because everyone else is. We believe now is the right time, as it'll benefit the majority of our users while keeping the downside low. Accordingly, OnePlus has also announced that the next generation of their branded wired headphones will have a USB type C connection. In addition, Pei noted that Oneplus would "include an adapter in the box", presumably meaning those interested in the company's next phone will not also have to buy compatibility with their normal daily headsets. Time will tell if the company's gamble has paid off, and if OnePlus fans are truly over the traditional headphone jack.